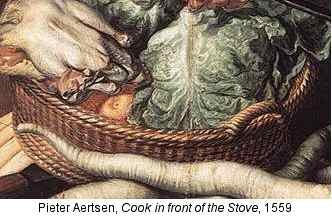 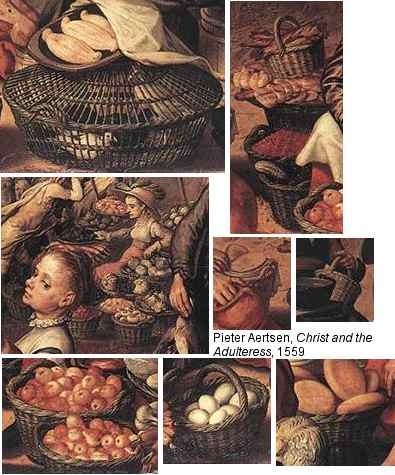 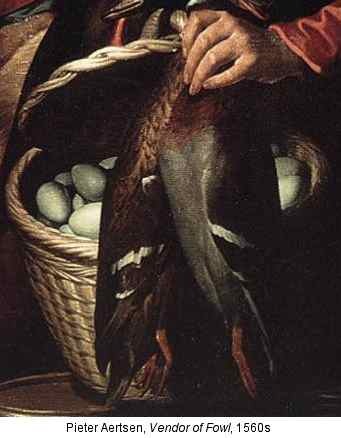 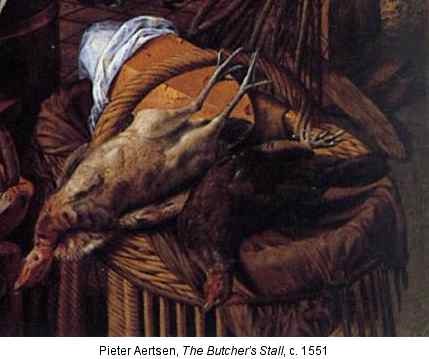 Below are baskets painted by Pieter Aertsen, who was born in Amsterdam in 1508 and died there in 1575. 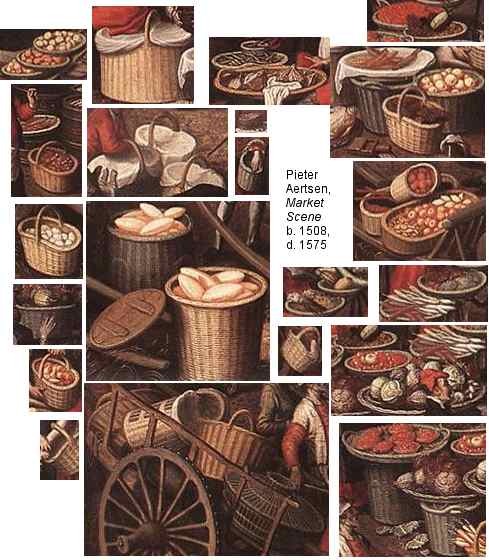 He did a significant amount of his work in Antwerp, as well as in his native city. 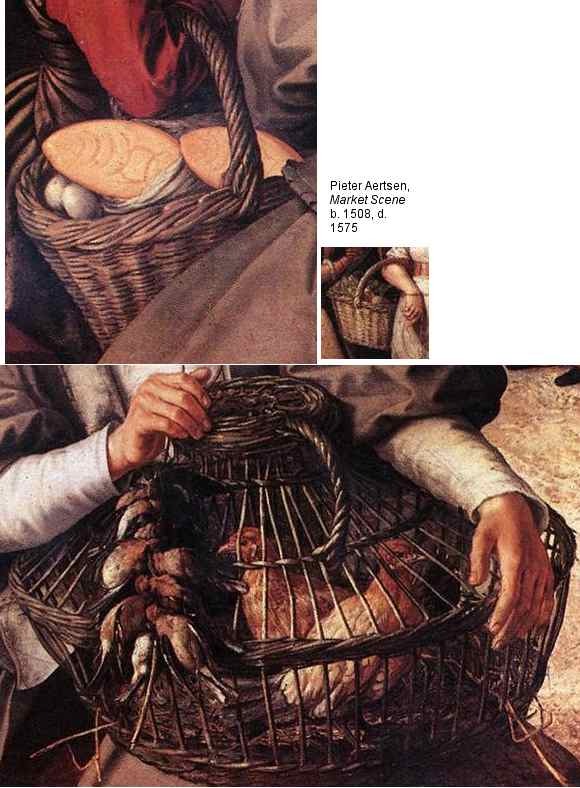 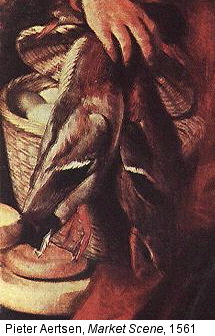 Click on any basket to visit the Web Gallery of Art page for the painting from which it comes. 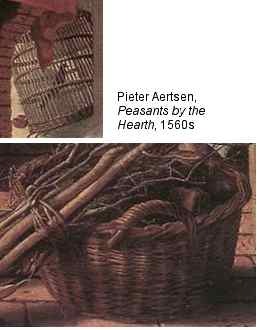 Most of those pages include some information on the painting and a small image of it. 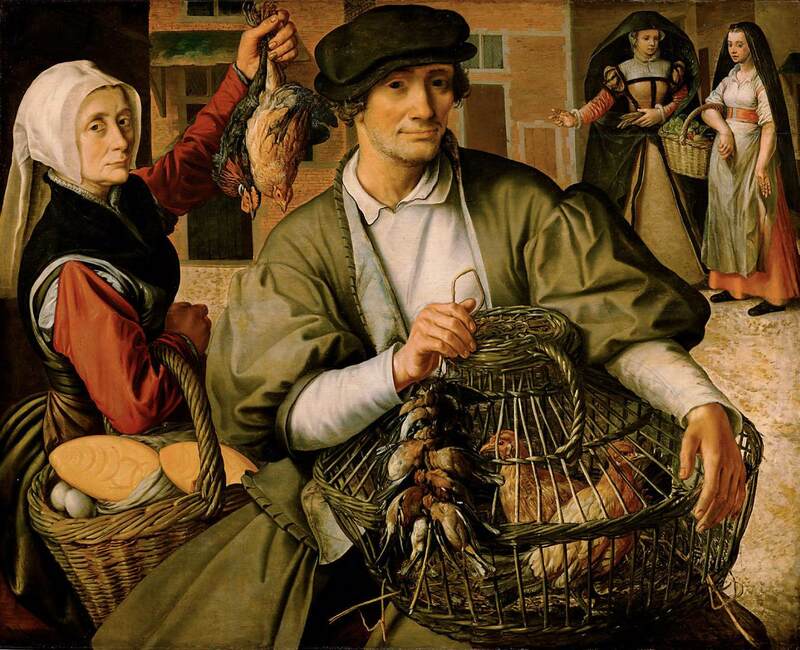 Click that image to view a higher-resolution, zoomable version. 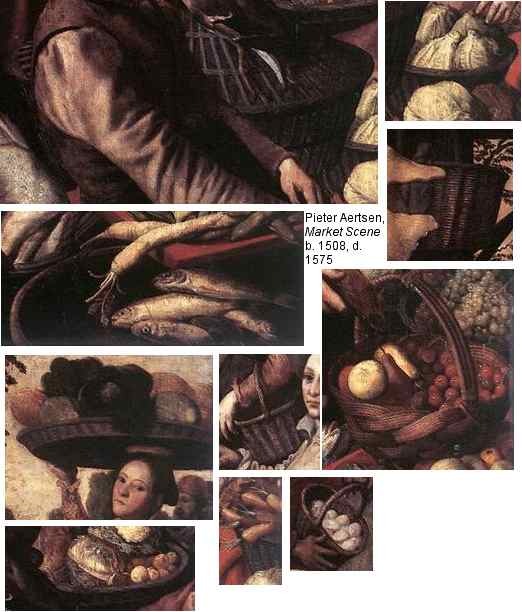 If the artist's birth and death dates are the only ones given here, I don't have the date for the painting itself.